What is Sleepwalking? The Definition of Sleepwalking (Somnambulism): Sleepwalking, also known as somnambulism, is the act of walking while not being conscious or aware of it. 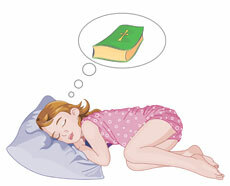 Sleepwalking (somnambulism) most often occurs during deep, non-REM sleep. REM sleep, also known as "dream sleep," is characterized by rapid eye movements, mild involuntary muscle jerks and more irregular breathing and heart rate compared to NREM sleep. Non Rem sleep aka NREM, non-rapid eye movement in sleep. Rapid eye movement (REM) is not included. 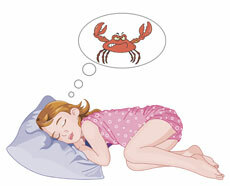 REM sleep is most associated with dreaming but dreams can also occur during all stages of Non-REM sleep. Sleepwalking most often occurs during deep, non-REM sleep and can occur at any age, but it happens most often in children aged 4 - 8 years old. The sole purpose of the article on a sleep disorder such as Sleepwalking is to act as a reference guide to provide useful information regarding sleeping problems. It is not intended to be used to diagnose or treat Sleepwalking or as a substitute for obtaining professional medical advice. Please remember that if you are in any doubt about your health please consult your medical practitioner immediately. What are the causes of Sleep walking?